Trevor has loved Perler Beads since we were first introduced to them when he was 2. He has made a huge number of items over the past nine years and kept all but the very few he's given away. Storage is getting to be a problem. It was not easy, but I convinced him to go through them all and separate out his favorites and get rid of any that were broken, poorly melted, or simply not special. 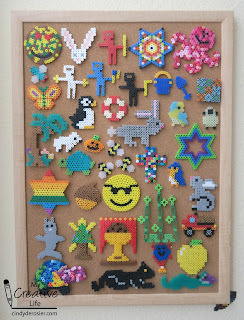 Then we used straight pins to arrange those favorites on a corkboard frame. We hung the frame right next to the shelves of games and toys. 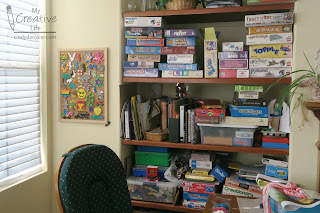 The plan is that as he makes new creations, he'll display them on the corkboard and get rid of one of his previous pieces that is not as special. Or, we'll eventually end up with a second corkboard hung above the first, as he's really going to struggle replacing an old favorite. 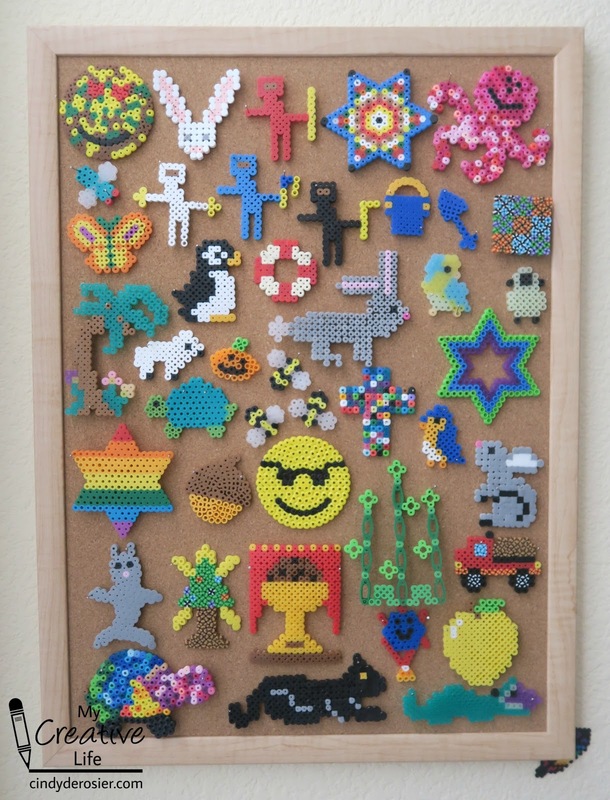 Do your kids have a lot of Perler Bead creations? How do you store / display them? Perfect solution! We have the same problem. I might steal this idea, thanks! What a great idea to store them!!!!!!!!!!!! !